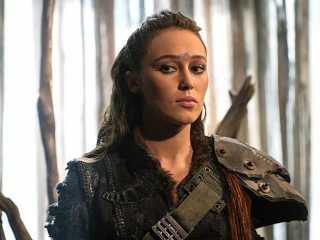 Lexa attempts to maintain a tenuous peace among the twelve clans, ordering a blockade to contain Arkadia’s forces — while Titus has plans of his own for a captive Murphy. Ninety-seven years in the past, a research scientist goes to great lengths to save her technology. Lexa (guest star Alycia Debnam-Carey, "Fear the Walking Dead") tries to maintain peace and order within the clans, and Clarke (Eliza Taylor) uncovers a strange and game-changing truth. Meanwhile, a flashback takes us into the darker chapter of humanity's past. 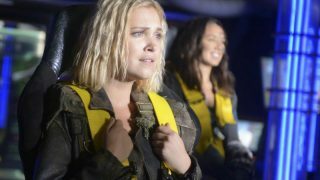 Paige Turco, Isaiah Washington, Henry Ian Cusick, Bob Morley, Marie Avgeropoulos, Devon Bostick, Lindsey Morgan, Christopher Larkin, Richard Harmon and Ricky Whittle also star. Dean White directed the episode written by Javier Grillo-Marxauch (#307).